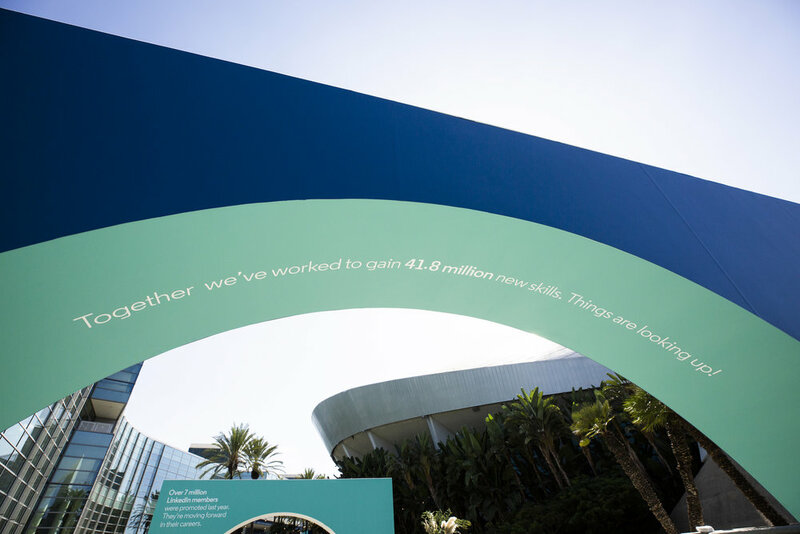 Talent Connect is the biggest event of the year for LinkedIn. Recruiters from all over the world come to this 3-day event to be inspired, to network with their peers, and leave with insights on how they can make a bigger impact at their companies. In partnership with six agencies, we developed creative for the entire event spanning everything from experiential to event signage, from microsite to interactive touchscreens, from social posts to swag. Nothing was too small to be overlooked. We started by establishing the building blocks of the campaign: a brand identity system pulled from our global brand guidelines. We also came up with the theme “From insights to impact” for Talent Connect 2019. Together, the design and the theme inspired every single customer touchpoint of the experience. Our team was also responsible for creating the opening video that kicked off day two of the conference. The brief to us was simple: to underscore how great companies are built out of great teams and inspire our audience to help build winning teams. Using iconic successes in the business and creative worlds as examples, we showed how individuals no matter how brilliant could not have achieved what they did without the help of their teams. 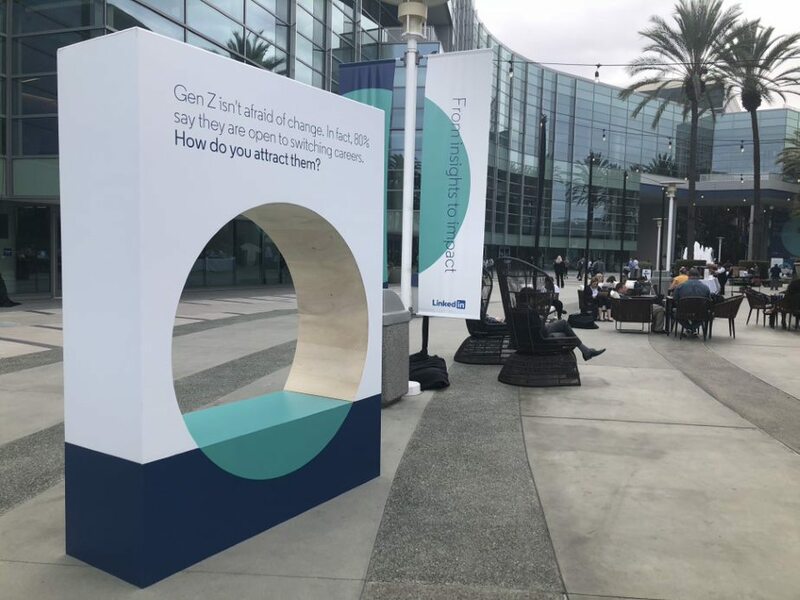 At the event, customers interacted with experiential installations and saw how the power of LinkedIn insights could help them navigate the future of work. Messaging throughout the space also reminded them of the impact they can have on their companies using our data, whether their roles are in talent branding, diversity and inclusion, recruiting, or learning. The event was a hit. Talent Connect 2019 sold out with customer attendance up by 14% over the previous year. NPS went up by 13 points and live streaming views were also up 120% with 2.2 million people watching from their computers.